Small Hole EDM Drilling | EDM Machining | EDM Services | KLH Industries Inc. Most EDM drilling machines are CNC-controlled, however, few are actually mounted on the table of a CNC mill. By retrofitting an EDM driller onto a CNC mill, KLH offers micro hole and small hole EDM drilling services on parts over 2,200 lbs and in excess of 40" long. Size and weight are rarely a restriction when popping or drilling fast, small holes at KLH. KLH stocks a variety of single and multi-channel tube configurations. The non-submersible drillers have virtually no limits in the X- & Y-axis. 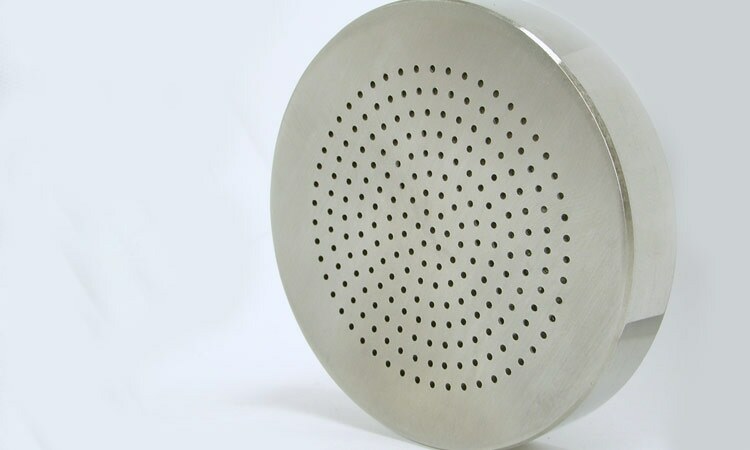 Spark erosion process leaves clean holes ready for the medical industry. Drills soft or hard metals, graphite, carbide, and polycrystalline diamond. 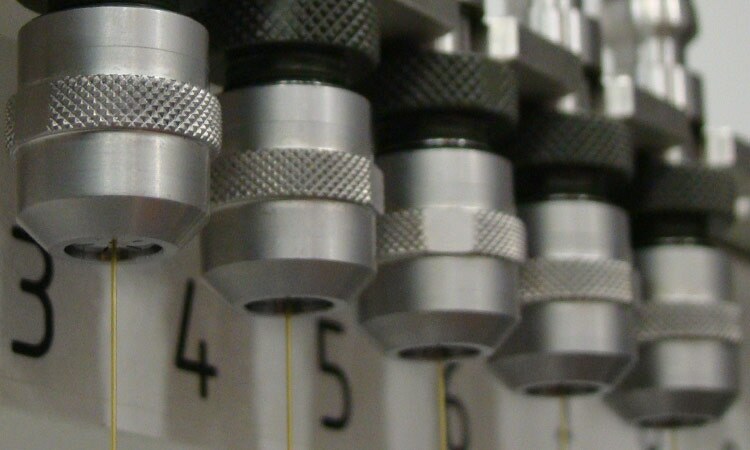 Uninterrupted production EDM drilling up to 16 electrodes and 4 different sizes. 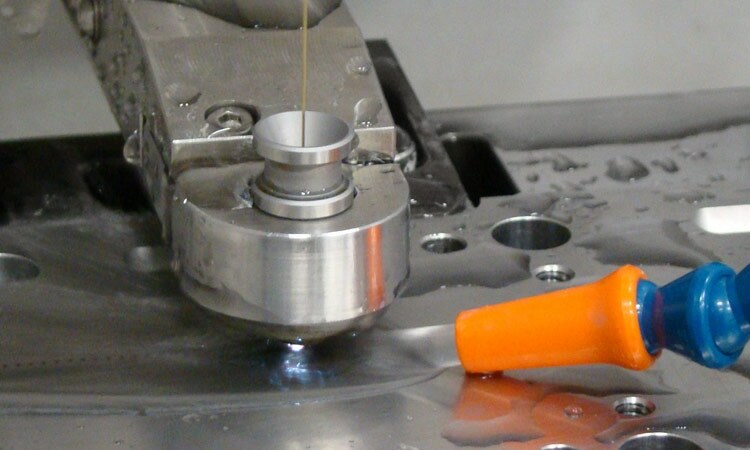 Small hole EDM drilling is ideal for creating injection nozzles in molds and coolant holes in tooling, as well as start holes for wire EDM operations. 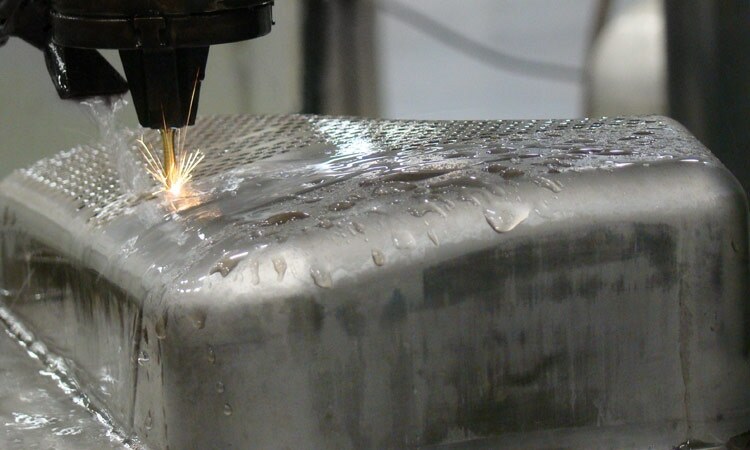 Since both processes are types of electrical discharge machining (EDM), it is often more economical to use this combination for hardened materials. Sinker EDM is hypothetically also capable of producing small holes, but would be more expensive and is typically 10 times slower than micro hole EDM. Small hole EDM drilling uses the EDM principal of spark erosion to burn fast, micro holes into electrically conductive material. Unlike sinker EDM, which uses custom electrodes, small hole EDM drilling uses a brass or copper tube as an electrode. As the charged electrode is lowered into the work piece, a spindle rotates the tube to evenly distribute electrode wear, remove debris, and assure uniform roundness. What angles can you drill at? The driller head can tilt 45 degrees, anything outside of that KLH uses various fixture setups to accommodate compound angles, even on round surfaces. What is KLH’s max X and Y dimensions? Since there is no tank, there are virtually no constrictions in the X- or Y-axis. How is this process similar to fast hole popping, hole burning, or micro hole EDM? They’re one in the same. As the technology began evolving in the 1980’s, different manufacturers used different terminologies. As such, a variety of terms are thrown around synonymously. Can you drill on angled or round surfaces? Absolutely. 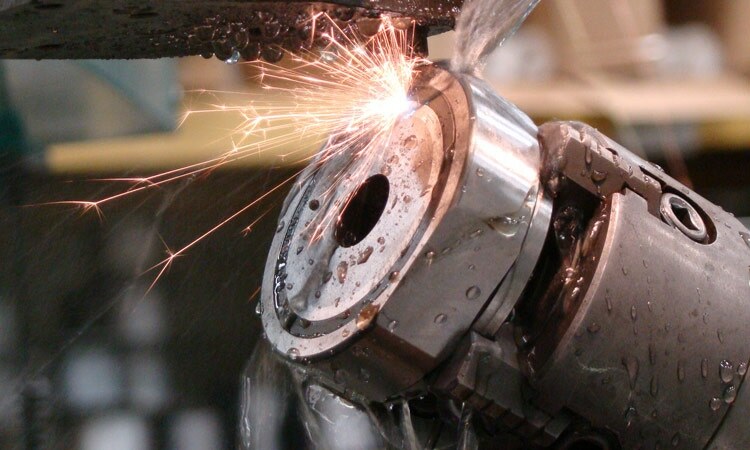 Due to torque pressure, CNC drills tend to walk on an angled surface, but the EDM electrode doesn’t come into contact with the part, so holes remain accurate. How can EDM drilling remove broken taps? An electrode is drilled through the center shaft, allowing the remaining pieces to be removed without damaging the existing threads.